Work continues on the steps along the Tree Trial at Ault Park. The worn and haphazard steps have been replaced with well-fitted treads of lumber reinforced with recessed rebar. The recent warm weather brought out many park goers who, as they often do, headed to the trails for some hiking. When the trails are muddy, or steps are in poor shape, hikers often break trail, cutting into the woods along the designated trail. 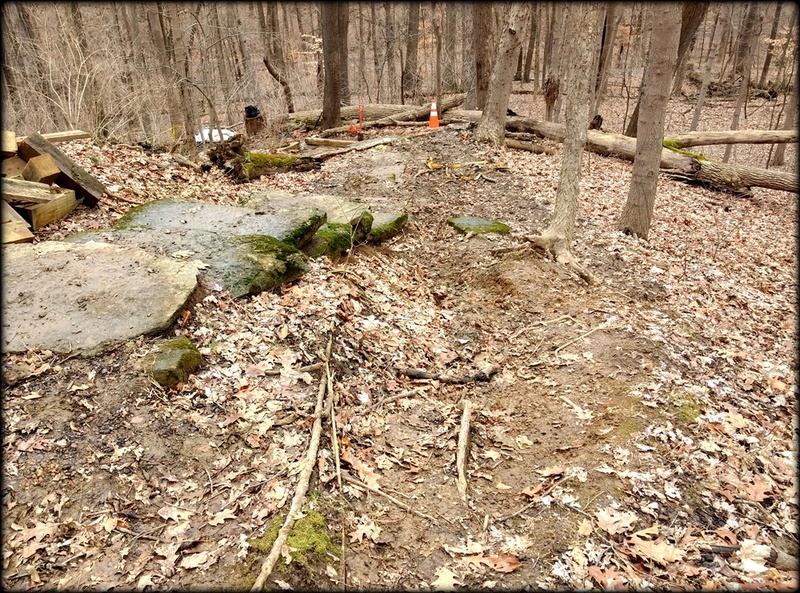 This photo shows what breaking trail coupled with water runoff can do to a trail. Deep gullies form on either side of the trail making the trail more dangerous than before. Soon, the ruts become impassible and the trail widens as hikers gravity towards dry, less muddy terrain. 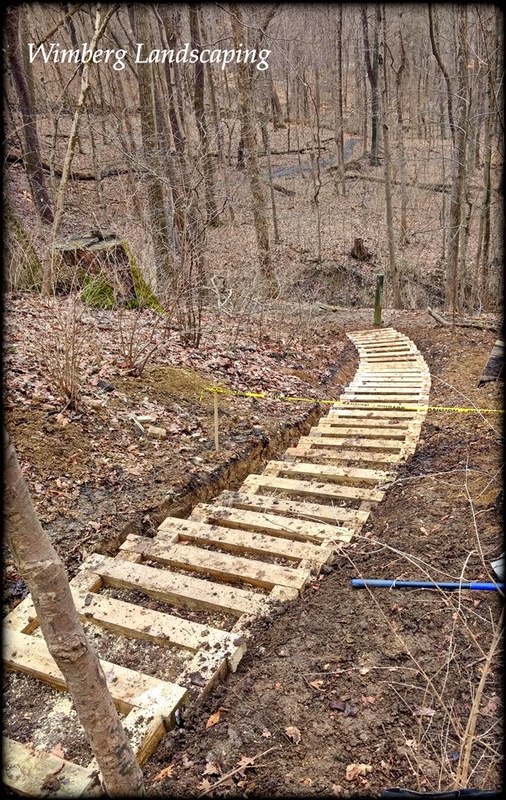 "We hope that with these new steps hikers will stay on the designated path allowing the side areas of the trail to recover and vegetation to return," shares Peter Wimberg. As we continue work on the trail, it is advisable to take an alternative route for your safety and the safety of our workers.